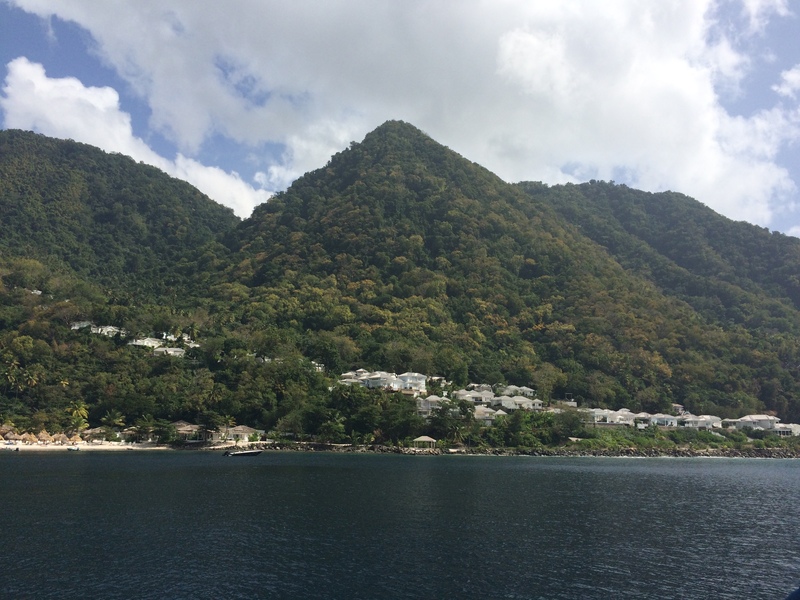 This post is the third in a series from my Caribbean Cruise in February 2015. You can read a review of Ventura, the P&O Cruise Ship I was on, here and find links to the rest of the posts here. 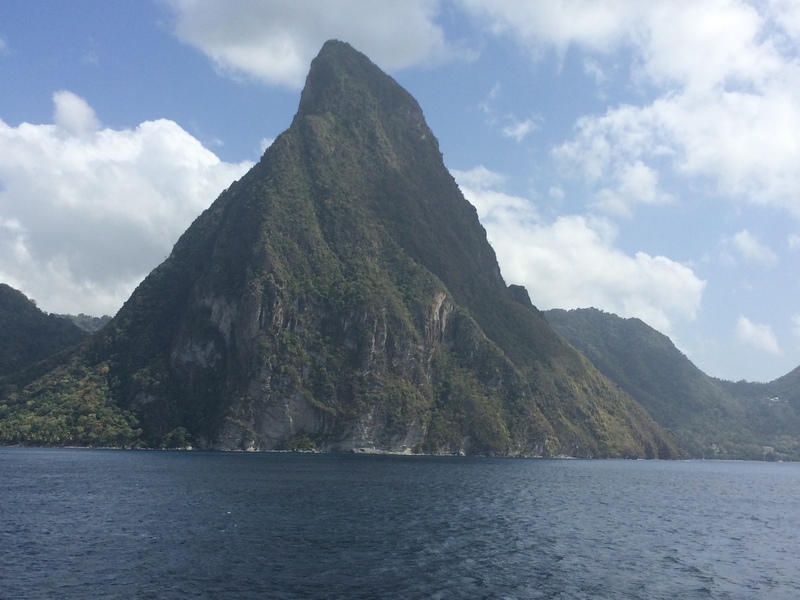 Saint Lucia was probably one of the places that I was most looking forward to going to when I first saw the itinerary of the cruise; I don’t know what it is about that island but I have always wanted to go there. I think it might be because my mum, who was a teacher, used to teach her class about Saint Lucia and Jamaica so from when I was a little kid I had seen all of the posters that she would put up around her classroom showing the Pitons and the beautiful coastline. My mum also really wants to go to Saint Lucia so she was very jealous of this location in particular. The day that we were in Saint Lucia was my friend’s mum’s birthday so we decided to book a P&O trip so that everything would be organised for us so that Joy’s birthday would definitely be stress free and relaxing. 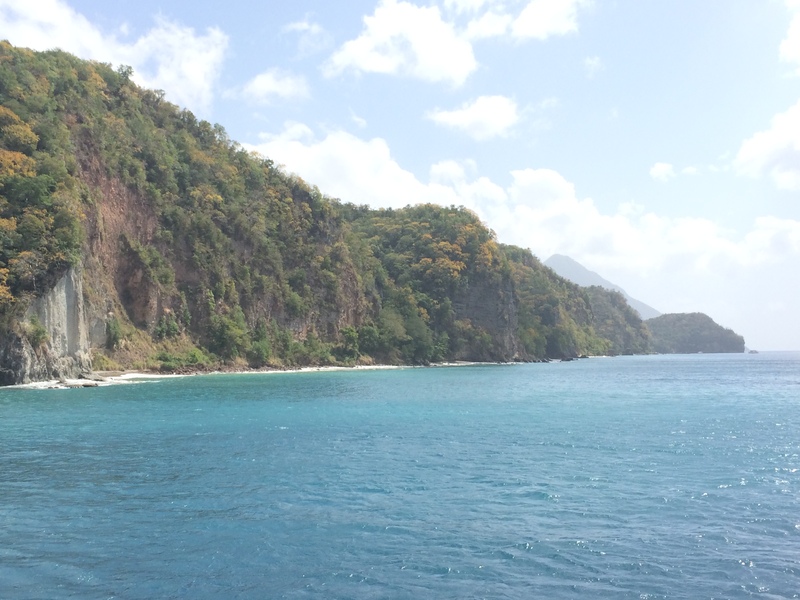 We decided on a snorkelling trip to Pitons Bay, which meant sailing round the coastline for about an hour from where Ventura had docked which was amazing and gave us a great chance to see more of the breath taking scenery. I honestly felt like I was in a postcard because it was all so beautiful. When we arrived at the bay, we were given an hour and a half for snorkelling which I thought was a good amount of time. To be honest, I had a bit of a nightmare because I had not secured my mask properly so as soon as I put my head under the water for the first time, a LOT of water gushed into my eyes and knocked my contact lenses out of my eyes. Unfortunately I am an idiot and had not taken spare contact lenses, my glasses or my prescription sunglasses. So I literally didn’t see a single fish. To add to my woes, my inflatable life-vest had a mind of its own and was constantly billowing up around my face and impairing my vision even more. Needless to say, my issues just made the trip more enjoyable for all of my companions (and also some of the strangers who happened to overhear the story) as they laughed hysterically at my misfortunes. To be fair, it was pretty funny. I would have laughed at me too. Anyway, this was also my first attempt at using my GoPro. The results were…. Interesting! The best pictures are below. They were certainly not on the same level as all of the GoPro Instagram accounts I follow but I did manage to take some actual pictures of some real live fish under the water – so at least I got to see some of what I missed when I was swimming about with no contacts! After we had spent about an hour snorkelling (or in my case bobbing about and trying not to drown) we decided to chill on the beach and have some fruit from a man who was selling amazing exotic fruit out of a canoe(!). It was $10 for a box of fruit, which may seem like a lot, but we got a huge amount of the most delicious fruit I have ever had and it was more than enough to share between two of us. The passion fruit was my favourite – as usual – but we also got to try a few types of exotic fruit that I had never even heard of. As an added bonus, the man who sold us the fruit told my friend that if she ever returned to the island, he would be waiting for her. Apparently our astonishingly pale Scottish skin is a hit in the Caribbean – maybe being so white that you glow in the dark is more exciting for people who live in the constant sunshine! 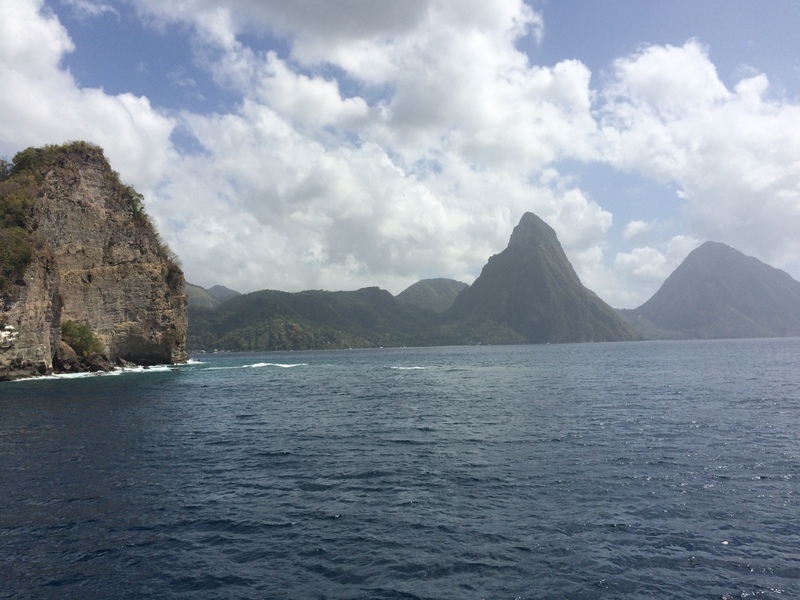 Despite all of my many, many issues and my complete lack of snorkelling ability, I had an amazing day in Saint Lucia. Luckily I had taken about 500 pictures of the amazing scenery on the way to Pitons Bay (when I could see what I was pointing the camera at) so I wasn’t too disappointed at missing out on the views on the way back – the fact it was time for some rum punch and snacks definitely softened the blow too. I would definitely love to go back to Saint Lucia one day and I feel like there is a lot more that I would like to experience and discover of the island. High up on my list would be spending more time on land and exploring some of the volcanoes; The world’s only Drive-In Volcano sounds amazing and is firmly on my bucket list now. So overall, Saint Lucia was absolutely beautiful and I am a complete idiot but from now on, I will have multiple pairs of spare contact lenses for every once in a lifetime activity I plan. That lesson has definitely been learned!